I am a simple man . . . I spent 35 years in an industry I neither understood or cared for, initially. The insurance industry has alot of rules, most of which are understood only by the number crunchers who live far (physically and intellectually) from the people they are supposed to serve. The numbers generally win. I was fortunate, in that I worked for a mutual insurance company most of those years. I also was successful enough to have access to the decision makers, and could usually drink enough to impact some decisions – or maybe I just drank enough to think I did. My boss for most of those years frequently told me that I needed to have an avocation, that wasn’t for money, that I could be good at and find escape, satisfaction and personal rewards. He even put this in writing at times when he thought I was taking the business too seriously. I did that. There were fast cars, bicycles, training hunting dogs, real estate, woodworking, and a pretty long list of minor interests, as well. I even coached my daughters’ basketball teams for several years. The girls were also a great source of escape, satisfaction and personal rewards. I still love fast cars, try to ride the bike occasionally, love my dogs and tinker with a few other interests, but the wood working has stuck. The girls are long gone to their own lives and families, but proffer the greatest satisfaction, when we can stand back and look at their successes and state unequivocally that the heavy lifting is done. The woodworking has stuck. It is confounding, yet incredibly satisfying. I love the silence of hand work, can get lost in it without realizing it. I also love the action and noise of the CNC router that I built from the ground up and has opened up a whole world of things I haven’t done before. Turning is a drug – the incremental removal of material that results from the scraping of tools against a rotating project, revealing itself progressively – carrying with it a hope that it can be what we planned. I’ve never been much for rules, especially rules that I didn’t understand or made no sense. The wood doesn’t seem to care what I think. It will change on the whim of a percentage of moisture content or a few degrees in temperature. It forces me to adjust, anticipate, and sometimes just grow weary of its stubborn demands to remain as it was Created. When I asked a chairmaker friend from Tennessee why he had no electrical power in his shop, I got more of an answer than I anticipated: “Mistakes happen faster with power tools. With hand tools, I can fix a slip or gash, make it look like it belongs there. With power tools, it is usually too late. If it is too dark to see in the shop, I am either there too early or it is too late and I belong in the house with my family.” I got the feeling he had worked on that answer for a time. I am a simple man. I could easily get along with a bowl, a spoon and a cup. (we would still need to keep a plate, fork and knife around for the occasional rib eye or sirloin). When something wears out, I look hard for an identical replacement, because I don’t want to fool around with adapting to something less functional. When I find what I want, I usually buy two. A good pair of boots (Red Wing 8″ 899 13M) suits me fine, as does a pair of jeans (wranglers – relaxed fit) and a long sleeved t-shirt (Hanes 2XL tall beefy T with a pocket), an LL Bean 2XL tall flannel shirt (or a Pendleton if it’s a formal occasion). On a cold day, my Wolverine vest (2XL tall) takes the chill off. But I’m not particular. Leo the barber! Haven’t thought of him in decades! I like the way your mind works, and the way this plays out in your writing. 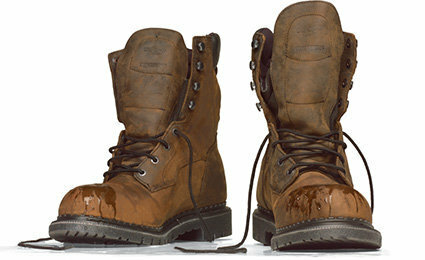 Love the iconic boots, the relationship with wood you experience, the simplicity of life, well-lived, the quirky details. Slow work with wood juxtaposed against a love of speed . . . maybe I should have guessed this about you because of hockey, but I was surprised. Really enjoyed reading this! Johnny – you write astonishingly well! I would like to think I contributed in some way when you were 13, but happily concede you have an innate and uncanny way with words and ideas. I wasn’t getting notice of your posts and just discovered Bill’s Boots that I plan to reblog. Needless to say, it touched my heart as you’ve always been able to do! I consider this essay a tribute to my husband, Bill – written by an old friend he valued and admired. Well, IF in fact, I write well, mechanically speaking, you certainly made a contribution – along with alot of other people. However, as far as contributing to who I am, well, that’s another story. I was a scared little kid. You took an interest, Bill took an interest, You put me in places I could have never gone otherwise. And, because you were you, nobody could say no! And I have always thanked you for that.